1) The electric car manufacturer Tesla announced a 7% cut of their full-time staff. The company faces very difficult times ahead in selling affordable renewable energy products, in part because the ending of some tax credits. 2) China economic growth slows down to 6.6%, the lowest in 25 years, with a forecast of 6.3% for this year. China constitutes one third of the global growth. 3) The International Monetary Fund cuts world economic growth forecast because of the risk stemming from Brexit as well as China’s slowing growth. TESLA BUYS SOLAR CITY… LARGEST CLEAN POWER ACQUISITION IN USA HISTORY!!!!!! 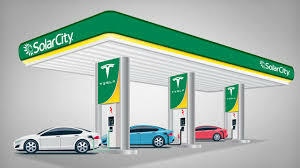 Tesla Motors purchased Solar City for $2.6 billion dollars. This initially means that there will be combination with the electric car maker and the solar model company, as they fuse their companies together respectfully. Many people believe with many questions if the effort to pair the two companies was a sound decision.